Audiences at next weekend’s Sections 1-4 Finals can enjoy recitals by one of the finest soloists to have emerged from the British brass band scene – trumpet and cornet soloist, and this year’s BBC Radio 2 Young Brass Award title holder - Thomas Nielsen. Thomas started playing the cornet in 2009 under the tutelage of his father, Carl, and passed Grade 8 with distinction at the age of 13. Brought up in The Salvation Army, he was recently featured as a cornet and trumpet soloist at prestigious Salvation Army events around the UK and in Europe. In 2014, Thomas Nielsen first attended The Salvation Army’s Territorial Youth Band course in Bournemouth and has been principal cornet of the band since 2015, aged 13. Dr. Stephen Cobb, Bandmaster of The International Staff Band of the Salvation Army, has also mentored him in recent years. In September 2014, he won a place to study trumpet with Andrew Mitchell at the Guildhall School of Music and Drama’s Junior Department, where he continues to study. In 2017, Thomas Nielsen became principal cornet and leader of the National Youth Brass Band of Great Britain - a position he still holds today. During his time in the NYBBGB, he has won the Katie Ogden Memorial Solo Award twice, the Harold and Bernard Tovey Memorial Award for Excellence and become the first person ever to win the Phillip McCann Cornet Award three times. 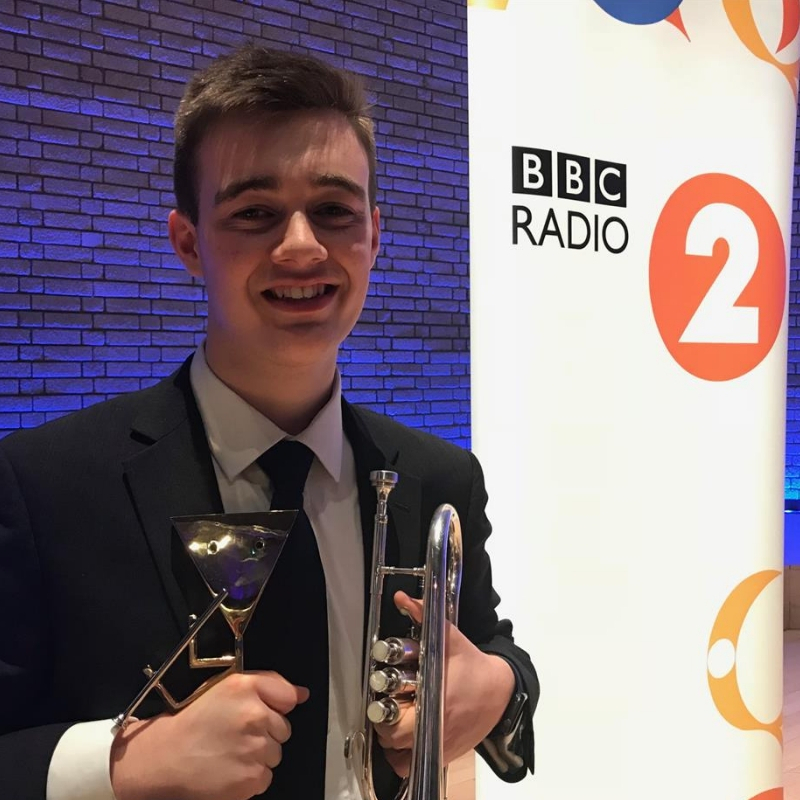 In April 2018, Thomas Nielsen became the first cornet player to win the prestigious BBC Radio 2 Young Brass Award. The final round was ­broadcast live on Radio 2 from the Royal Northern College of Music, Manchester, with Foden’s Band. Thomas was also featured as a soloist with the Black Dyke Band at the 2018 British Open Brass Band Championships Gala Concert at Symphony Hall, Birmingham last weekend. Recently appointed to the solo cornet section of The International Staff Band of the Salvation Army - an appointment of which he is immensely proud – Thomas Nielsen is also a Young Besson Artist and plays the Besson BE928-GT Sovereign cornet. His immediate ambition is to study performance at one of the UK’s senior conservatoires with the ultimate aim of becoming a professional musician. Speaking about his upcoming appearance at the Sections 1-4 Finals this weekend, Thomas commented: "I am very excited to be performing two short recitals at the National Finals in Cheltenham this weekend with my accompanist Elliot Launn. As it is my first time visiting these Finals, I'm looking forward to both seeing old friends and meeting new ones. I am very grateful to Kapitol Promotions for giving me this opportunity". Thomas will be appearing before the Results Ceremonies of the Section 2 Final (Saturday 15th) and the Section 3 Final (Sunday 16th). Admission to these concerts for bandspersons and the general public is free-of-charge.